Long ago, when wolves roamed the land, and before underpants had been invented, the Romans conquered Britain. But not everyone liked the Romans. Lots of people fought back, and none more than Queen Goodica's youngest daughter Roodica the Rude! 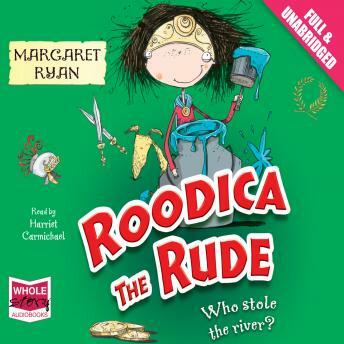 The rotten Romans have dammed Roodica's river- and that means no more swimming. But she's thought up a great way for getting the river back- and getting revenge!